Everyone will feel so desperate when they found that the uploaded ISO image file can’t play normally on handset or pad. So, what should they do for the sake of successfully streaming ISO image file on mobile devices? Commonly, ISO image can’t be played on the majority of phones and tablets. Numerous ISO image file converter programs have been tried, some just cost such a long time to convert compress ISO file, some others get stuck in middle of conversion or produce very bad video quality result. Eager for a first-rated ISO file converter to compress/convert the space-consuming ISO files to more friendly formats like MP4, AVI, MOV, etc. or to digitalize the piled discs to ISO image files to avoid damage or scratch for safe storage? You come to the right place for best solution. Anyhow, the wisest and fastest way is to convert ISO to MP4, AVI or other compatible video formats. That is to say, you need an ISO file converter which can aid you to effortlessly convert ISO image to popular video formats. 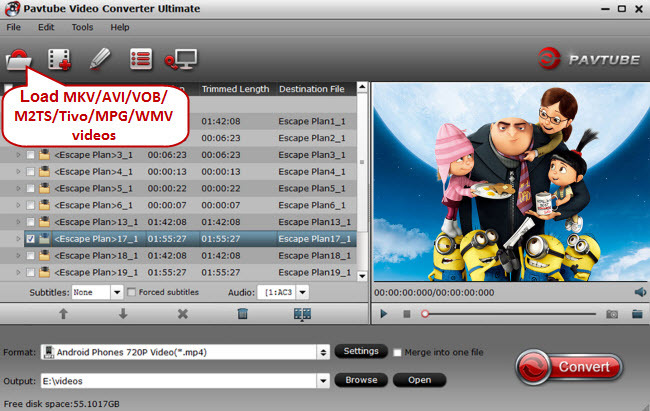 Hopefully, serving as a full-featured ISO converter, Pavtube Video Converter Ultimate can easily convert ISO image or even DVD to MP4, FLV, MOV, AVI, MKV, etc for easily playback. Furthermore, this DVD ripper can also enables you to directly copy and transfer iSO image to iPhone 6s/6s Plus,iPhone SE, iPhone 6/6 Plus/5S/5C/5, iPad Air 2, iPad Mini/3, iPad 4/3/2, iPod, Apple TV/3, Android etc with 6x faster speed and outstanding quality. Now, follow the below guidance to convert ISO file on Windows 10. Encode and compress ISO image to FLV, WMV, MOV, AVI, MKV, etc to YouTube, Facebook, Vimeo and other Web video profiles. 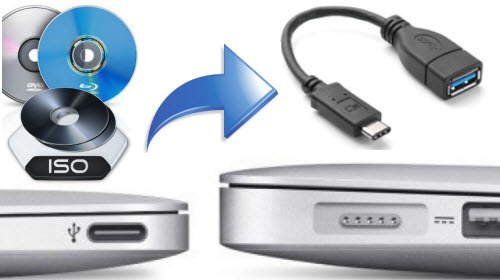 Convert ISO to mobile devices such as iPhone, iPad, iPod, Android, Surface, Sony devices, Blackberry, etc. Supported OS: Microsoft Windows 7 (32 & 64 bit), Windows 8 (32 & 64 bit), Windows 8.1 (32 & 64 bit) and Windows 10, Windows 98, NT, 2000, 2003, XP, Vista (32 & 64 bit). Learn how to convert ISO file to other formats and convert DVD disc/folder to ISO file in 3 simple steps at fastest speed in this tutorial. Install and launch the ISO file converter and click DVD icon to add ISO movies from your computer. All the loaded files will be listed on the left item bar and you can preview them on the right as the picture below shows. 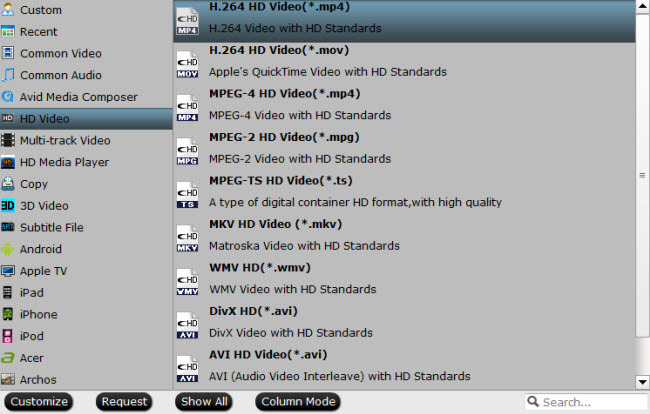 Click Format bar and select “MKV(Matroska) Video (*.mkv)” as output format from “Common Video” category under the drop-down list of “Format”. If you want to get better HD video quality, select “MKV HD Video (*.mkv)” from “HD Video” category. Tip: To adjust video and audio parameters like codec, aspect ratio, bit rate, frame rate, sample rate, you could click on “Settings” button. When the settings are OK, you can go back to the main interface and tap the “Convert” button to start the DVD ISO to MKV conversion. The software will do the rest automatically. When the conversion finishes, you can click Open” to access to the converted MKV videos. Enjoy. Additional Tips: If you have some Blu-ray ISO image files and want to convert Blu-ray ISO to MKV, AVI, WMV, MP4, MPEG, MOV, etc format, please get Pavtube BDMagic to get the work done effortlessly.